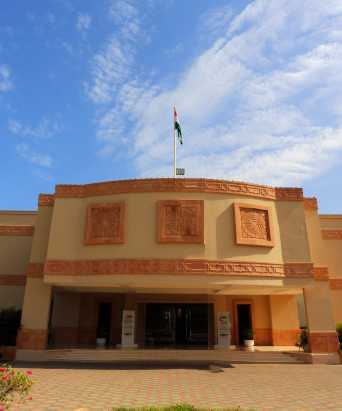 Welcome to EMBASSY OF INDIA, MUSCAT OMAN Embassy of India, Muscat, as a part of its endeavours to expand and strengthen economic & commercial ties between India and Oman, facilitates interaction between Omani and India businesspersons. It regularly organizes sector-specific B2B Meetings related to various sectors, including, IT & IT enabled services, building, construction, infrastructure, healthcare, tourism & medical tourism, power, fire & safety, etc. It organizes Invest in India Seminars every year to showcase projects in India with lucrative investment opportunities. It facilitates visit of business delegations from India to Oman, and vice-versa, for participation in trade exhibitions in India and Oman. It also replies to trade enquiries and extends support in settlement of trade disputes between Indian and Omani companies, with the support of Authorities in Oman and India. Indian Embassy facilitates interaction between business communities of India and Oman from all sectors. To strengthen and expand India-Oman economic & commercial cooperation. To promote India-Oman bilateral trade and mutual investments. To facilitate building in India-Oman business partnerships.